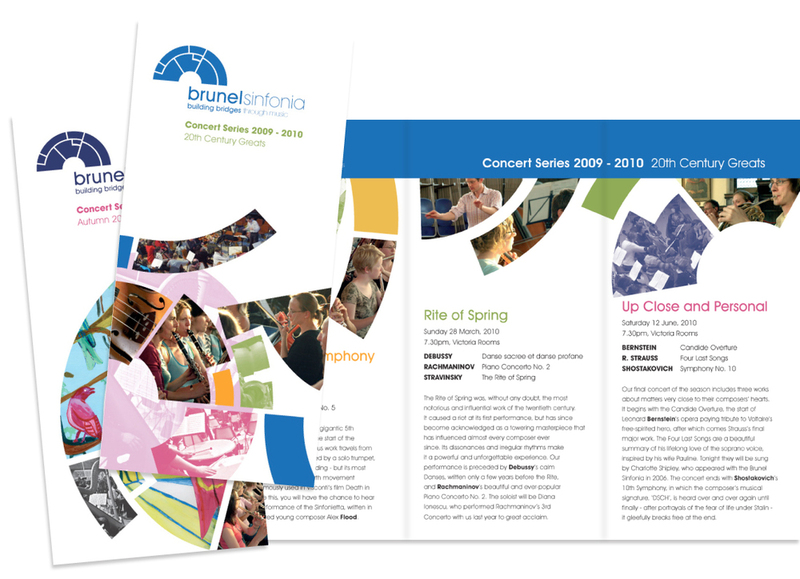 The Brunel Sinfonia was established in 2004 to fill a perceived gap in the Bristol music scene: to be a highly sociable and friendly orchestra that strived to attain high standards but never at the expense of enjoyment for all concerned. Once I had made the visual connection with the layout of an orchestra and the shape of a simple bridge the identity was solved. The literature was created using the elements of the logo in playful manner, able to incorporate illustrations and photographs. Posters were also designed using the identity to be used to represent seasonal or themed concerts.